The Indus Hospital Golf Tournament is an annual event which serves to raise funds for various initiatives and endeavors at The Indus Hospital. 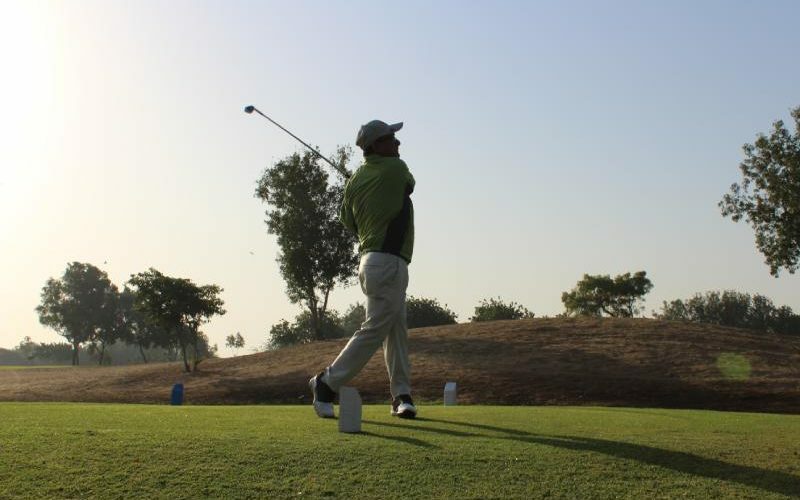 This year distinguished golfers played to help Indus Hospital to provide free-of-cost prosthetic/orthotic devices to around 4,700 patients awaiting to overcome their lower limb disabilities. The event was held at Airmen Golf Club in Karachi. According to WHO an estimated 0.5 % of the general population of the world is physically disabled and requires some kind of rehabilitation and assistive devices. This percentage is much higher for developing countries where there are minimal health services available and the population is affected by multiple diseases and conflicts. Keeping this in view, The Indus Hospital took the initiative to set up 3 Physical Rehabilitation Centers (PRC) in Karachi, Muzaffargarh and Lahore, with the help of its partners- International Committee of Red Cross (ICRC), CHAL Foundation in Islamabad and the Government. To-date IHN has been able to enable more than 6,600 patients to overcome their lower limb disabilities by providing prosthetic & orthotic devices, and training and physiotherapy services – absolutely free. IHN through the PRCs has also initiated the Clubfoot program, Speech and Language Therapy services and Audiology services. Through these services 1200 children are under treatment for Clubfoot; more than 150 patients are seen each week by qualified speech therapists and audiologists; and new born babies born at Indus Hospital’s Maternal & Child Care Hospital are tested for Otoacoustic Emission (OAE). If a child is diagnosed with a hearing disability he/she is given free hearing aids at first. After further assessment and diagnosis they are registered for the cochlear implant program. In the future, the Physical Rehabilitation Center also aims to introduce Occupational Therapy services at its centers in Karachi and Muzaffargarh. The guests of honour, renowned cricketer Muhammad Yousuf and Indus Hospital’s beneficiary Ayesha Noor, a 7 year old cancer patient who also received a prosthetic limb during the course of her treatment at The Indus Hospital presented the awards to the winners of the tournament. It is our aim at the Indus Health Network to be able to restore millions of more lives, with cutting edge and state of the art rehabilitative services, for patients from all across Pakistan. This Annual Fund-raising tournament enables us to be able to deliver on these goals and ideals of making a healthier Pakistan.